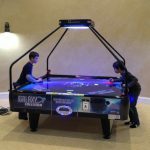 Discover a new and innovative concept in air hockey! 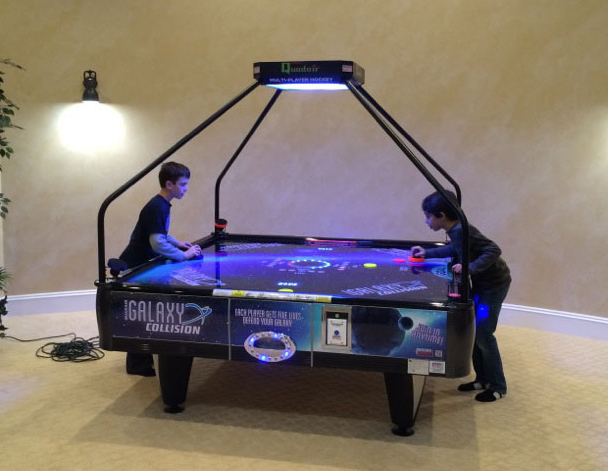 Galaxy Quad – Four Way 4-player air hockey table is a next generation of multi-player air hockey tables. 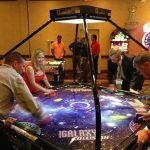 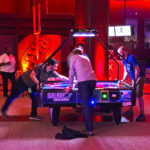 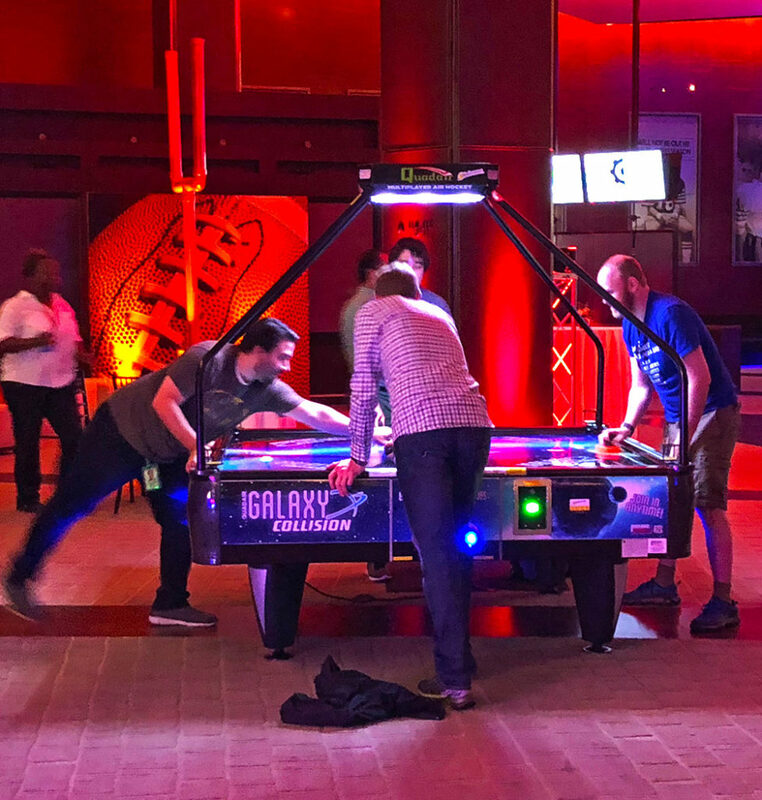 The Galaxy Quad – Four Way is a 4 player air hockey table game that can be played with 2, 3, or 4 players at a time, and also with 2, 3, or 4 pucks at a time. 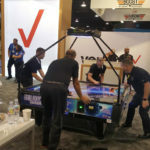 Each player’s goal gate will drop when the game is started, so that when only 2 people are playing they cannot score on empty goals. 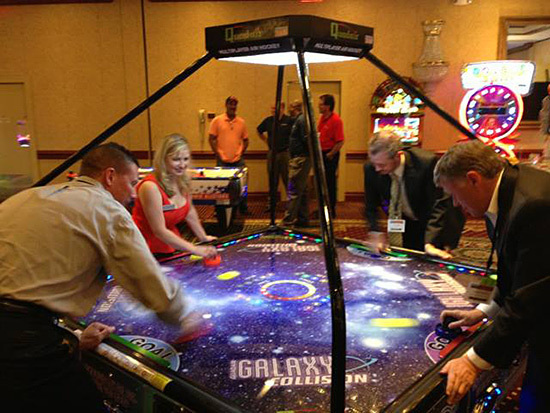 The Galaxy Quad Air 4 player air hockey table game will allow anyone to join in, even when the game is in progress. 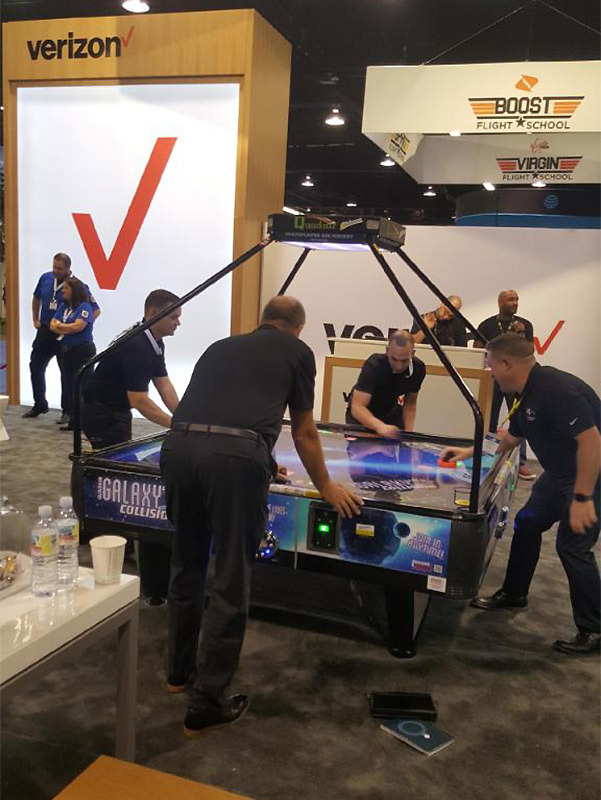 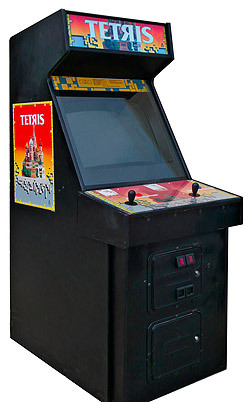 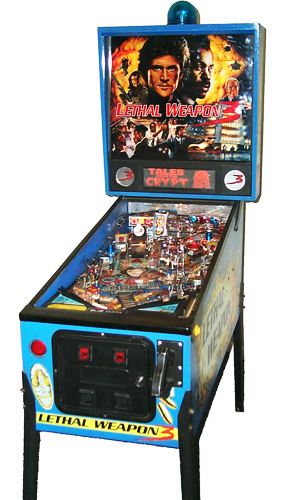 The air hockey game can be setup with custom music. 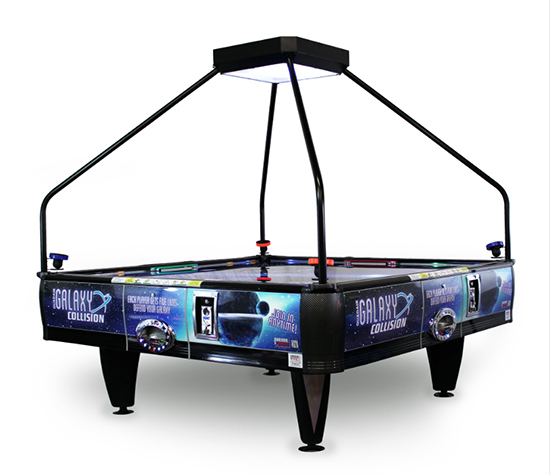 Please note: The Galaxy Quad Air 4-player air hockey is a very large piece of equipment, for delivery we require either 90 inch tall or 90 inch wide entry door.